Vinney is a high-energy D.J. that thrills audiences with his dynamic stage presence, polished moves and phenomenal vocal talents. If you are looking for an interactive D.J. 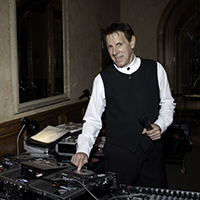 that can not only spin the hits, but also sing them...this talented performer is perfect for your event.